The gallery wall is now finished! 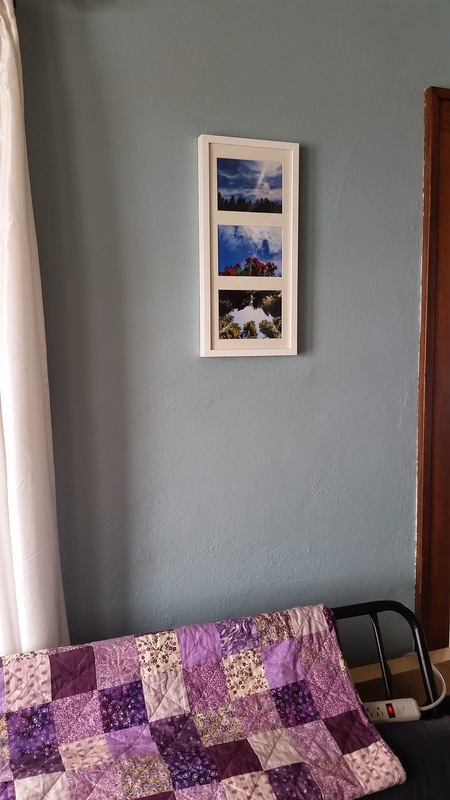 Last week I printed two extra pictures at Costco and we stopped at Ikea for more frames. Now they are up! 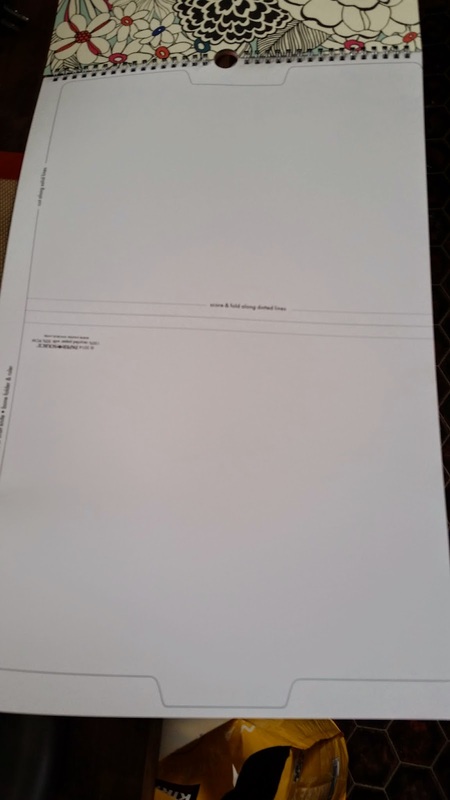 We ended up shifting the big picture in the middle up an inch to have a more balanced look. I am working on plans for a console table on this wall. It's just so hard to do wood working projects when your workshop is the garage and it's 5 degrees out. Moving left around the room, here are some more honeymoon shots to the left of the Craft Room. 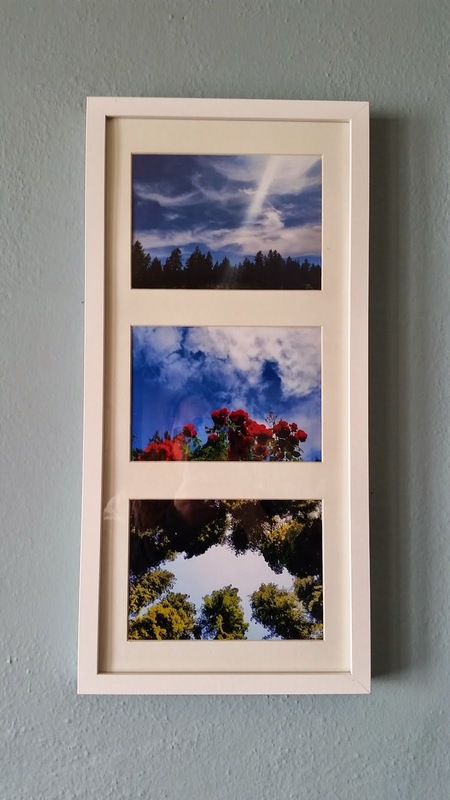 They're three 5x7s that I thought looked good together hung in a Ribba frame from Ikea. 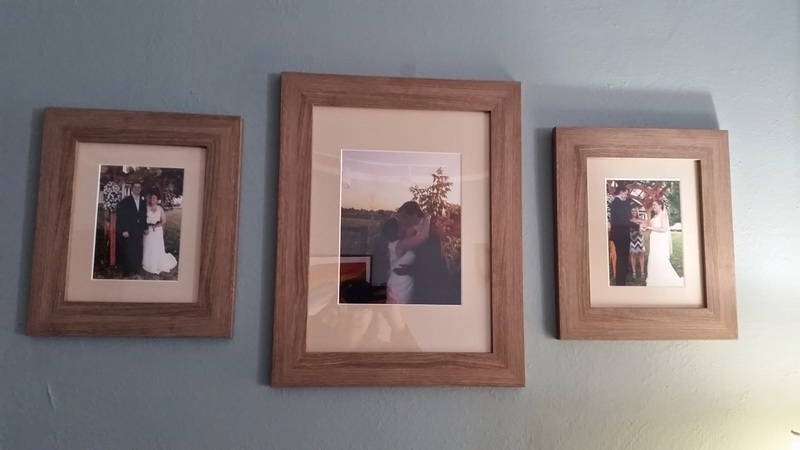 Continuing left around the room, we put up three wedding photos to the left of the living room windows (and to the right of the coat hooks) and above the dog kennels. 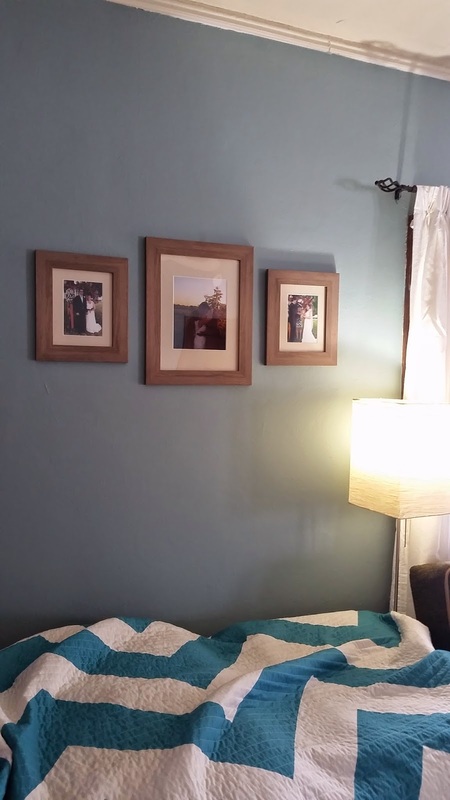 I wanted them to have a different look than all the other frames in the room so I went with this beachy wood from Ikea (Jallvik frames). And here is my splurge. 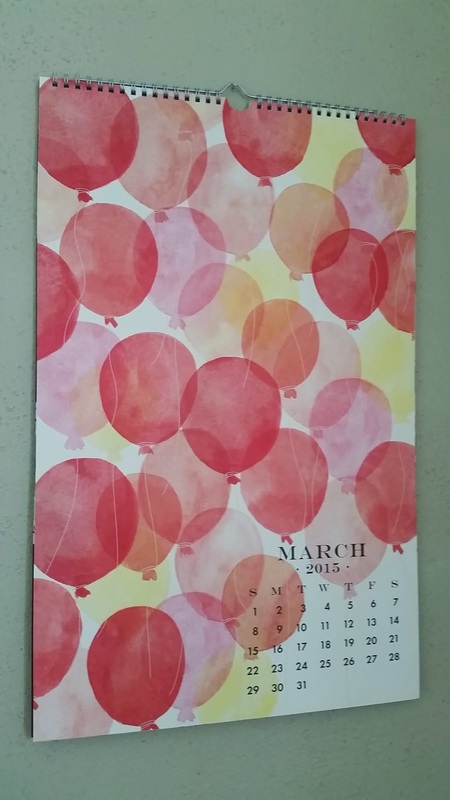 Calendars are 50% at Paper Source because it's the end of February. So I decided to have one tiny part of the kitchen that makes me happy, because I passionately hate our kitchen. February isn't that great, but look at March, April, and beloved June! 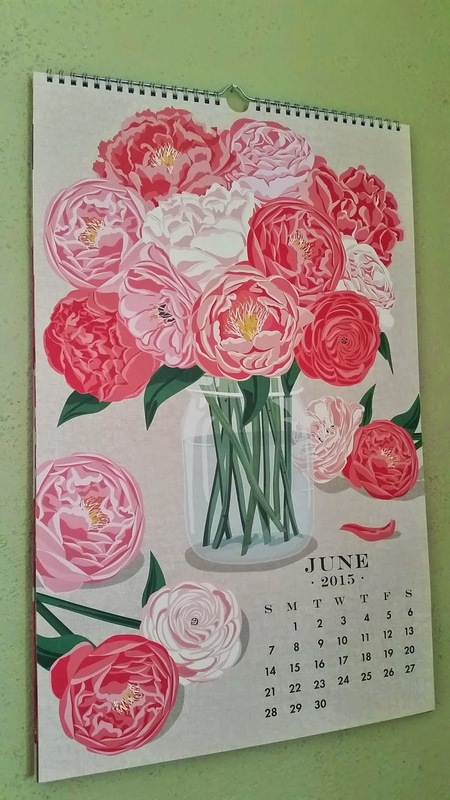 Did you know that peonies were my original choice for my wedding bouquet? But the flower shop said they're too unreliable and couldn't guarantee them looking good on the wedding day. So I went with hydrangeas instead. Now I wish I had ordered both and had the hydrangeas as back up. Oh well. 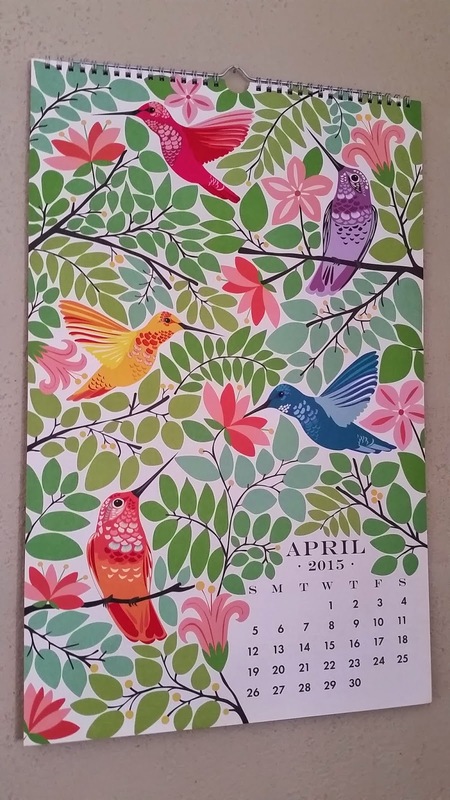 Another cool thing about this calendar that helped me feel like this wasn't a waste (because I don't really need a calendar), is that each month can be reused! 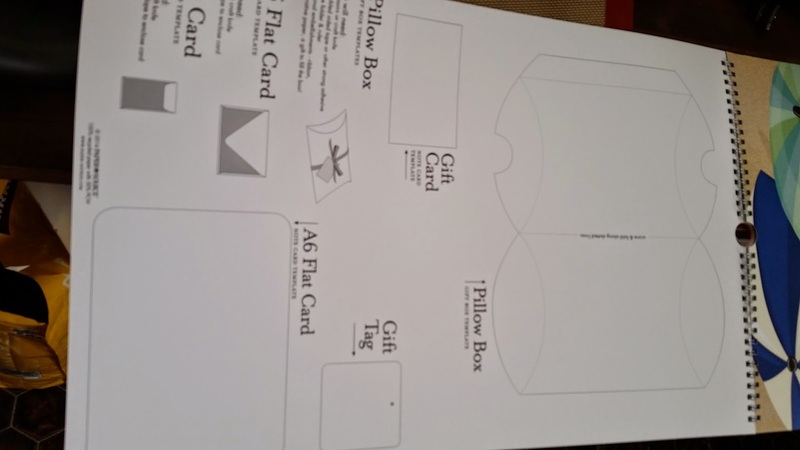 Depending on the month you can cut out file folders or note cards or gift boxes when it's over. I think that's such a good idea! My only other art hanging plans at the moment are in the bathroom. Hopefully this weekend we will BUILD the frames and those posts should be up next week! 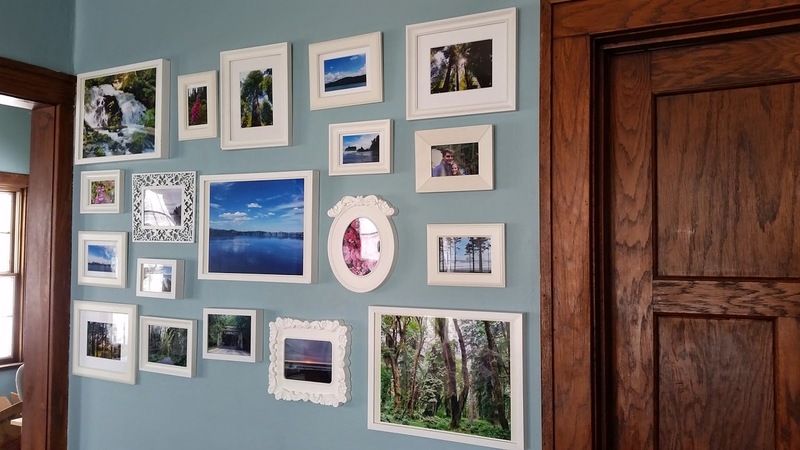 The picture wall, a small change makes a big difference! Your thing about symmetry works to the good. Glad you slept after all that time with your niece. :D Thanks! Yeah Maddie was up early both days and I was wiped! Energy is wasted on kids. It should go to the adults who care for them. I am confused by the bottom photos. 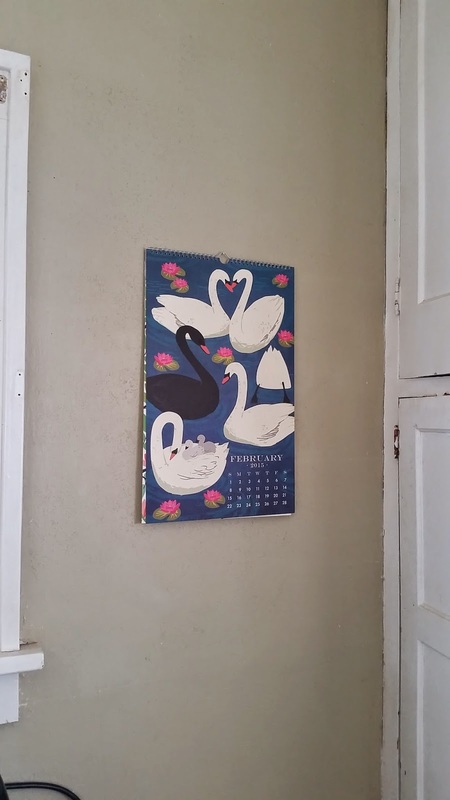 Are they from the calendar? What are they for? Thank you for this comment because it made me realize that basically half the post I had typed up somehow got deleted??! ?